Memories of Hill End | Hill End, People | Out of Sight, Out of Mind? 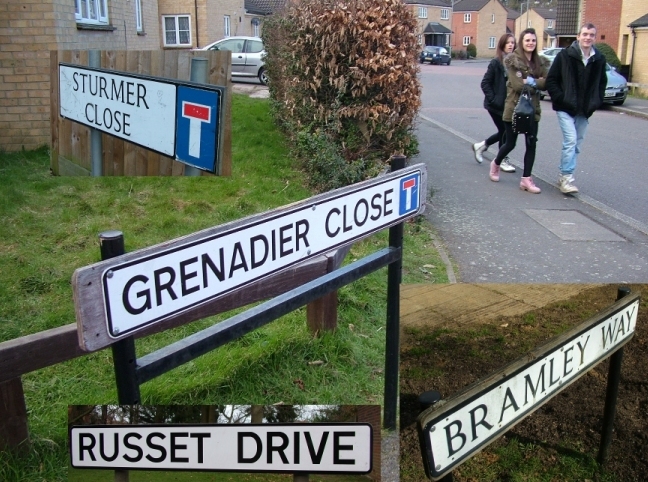 Previous orchard at Hill End Hospital inspired road names. The windshield wipers swished sideways, revealing the luminescence of lights in the dim foggy haze of motorway miles. I glanced at my wristwatch, its interior light glowed 2am. I had no idea of my location other than I was sitting on the rear seat of a limousine next to a male psychiatric nurse, who was there for my protection. Sometimes it maybe helps to recollect the past to understand where one is now. Two hours previously my mental state had deteriorated to such an extent that I had telephoned my local psychiatric unit Albany Lodge for help. They advised me that they did not accept admissions during the night and in any case they were full to capacity, so I should attend the nearest Accident and Emergency department at QEll Hospital, Welwyn Garden City, where they had a psychiatric ward. I arrived at the QEll Hospital by taxi and a psychiatrist was summoned from his slumbers. After a brief but most thorough examination, the psychiatrist advised me that I did in fact require hospital admission, but unfortunately there were no beds available either at QEll, St Julian’s or elsewhere locally. I was to be transferred to a hospital in another area. Memories of Hill End Hospital – At the age of thirty-one I experienced a major bipolar episode and I was admitted to the care of Drake Ward in Hill End Hospital as a voluntary patient. The hospital no longer exists, redeveloped as part of the Highfield Park Estate in St Albans (see photograph above), but as a teaching hospital it was considered a centre of expertise in respect of mental health treatment, a legacy I am grateful for to this day. Drake Ward was an acute psychiatric ward where I met many sociable people, with issues ranging from manic depression and schizophrenia to dementia, anorexia and epilepsy, alcoholism and head injury. We were a community and with the encouragement of the occupational therapist we would play games together: Trivial Pursuits, Scrabble, crosswords, chess and table tennis. 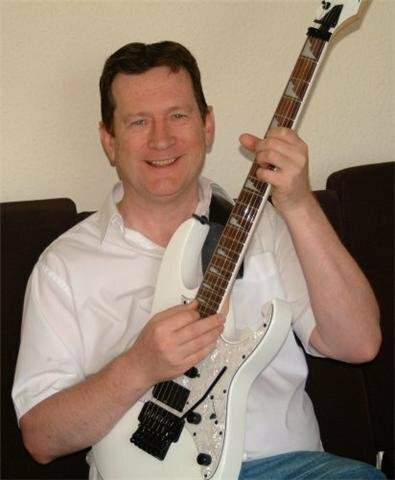 I also had my electric guitar and boogie box practice amplifier with me in Hill End Hospital, so I would play and sing to my heart’s content both on the ward and in The Edward Centre, which was a social club for patients. You could get a nice hot cup of soup for five pence there. As my condition improved, I ventured further afield by playing badminton in the recreation hall and going for walks with other patients in the splendid grounds, which now form a part of Highfield Park. 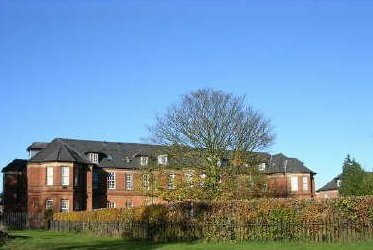 Hill End Hospital was a pioneer of ‘Care in the Community’. Part of this initiative was the Day Hospital. This was situated on the other side of St Albans above Mentmore Ward in Church Crescent. Those of us who were relatively well were taken, every Monday to Friday, by minibus from Hill End to the Day Hospital. Here we had a regular routine of activities that included relaxation, yoga, art therapy and drama therapy. I used the Day Hospital as a stepping stone, when I went forward to full time employment, after being in the care of Hill End Hospital for nine months. All along the window sill. Borrowed books that don’t come back! An important part of my recovery was the drug Lithium. I was at first reluctant to take Lithium but the relentless gentle persuasion by nurses and doctors thankfully convinced me to be fully compliant with my medication régime. p.p.s Although I did not go there myself, it is has been revealed to me, through conversations with other ex patients of Hill End Hospital, that Kean Ward was an assessment ward. It was on this ward that the facility of a padded cell was provided. Inside, it was light grey with padded walls, floor and door that were quilted with a heavy strong material, probably canvas filled with horsehair. The single lamp was very high up, so you could not reach it and the single window was also very high up, so only daylight could enter and you could not see out. The door had a small metal grill that staff could look through when they pulled back a metal flap, which they replaced after their inspection of the patient. A typical duration of being in the padded cell could be up to two days, but that would be difficult for the patient to ascertain because of the isolation. The pads prevented the patients from hurting themselves by hitting their heads on the hard cement walls. A padded cell is sometimes colloquially known as a ‘rubber room’, and was used so that patients did not harm themselves when suffering from an epileptic or psychotic episode. Suicidal and violent patients were also placed within them. Due to significant advances in modern psychiatric medications and care techniques, the use of padded cells and other restraints, such as a straitjacket, are thankfully no longer needed in National Health Service psychiatric hospitals. Consequently, the roads are named after apples e.g. Russet Drive, Sturmer Close & Bramley Way. If you zoom in on the map below to the area North of the old Hill End Hospital site and East of Hill End Lane then you will see for yourself. While a patient in Hill End I would most days go the Occupational Therapy department. A lady would sit with me and read poetry to me. It’s only a vague memory but I still treasure those moments. She made me feel special. I was on Drake Ward with a pretty blonde Norwegian art therapist. We would often chat; “Bob, when will you leave here?” “When I am well.” “How will you know when you are well?” “When I’m not here!” She giggled and I still smile just thinking about it. As I draw to a close I would like to thank the organisers of this web site. It has given me an opportunity to recall the happy times I had at Hill End Psychiatric Hospital. There was of course a grim side to it all but I prefer to forget all that. If you see me out and about please say Hi. p.s. I’ve moved on somewhat since I left Hill End and my doctors are most pleased that I have found an interest in amateur radio. It’s a fun sociable hobby and I’m at present teaching Morse Code on the shortwaves. 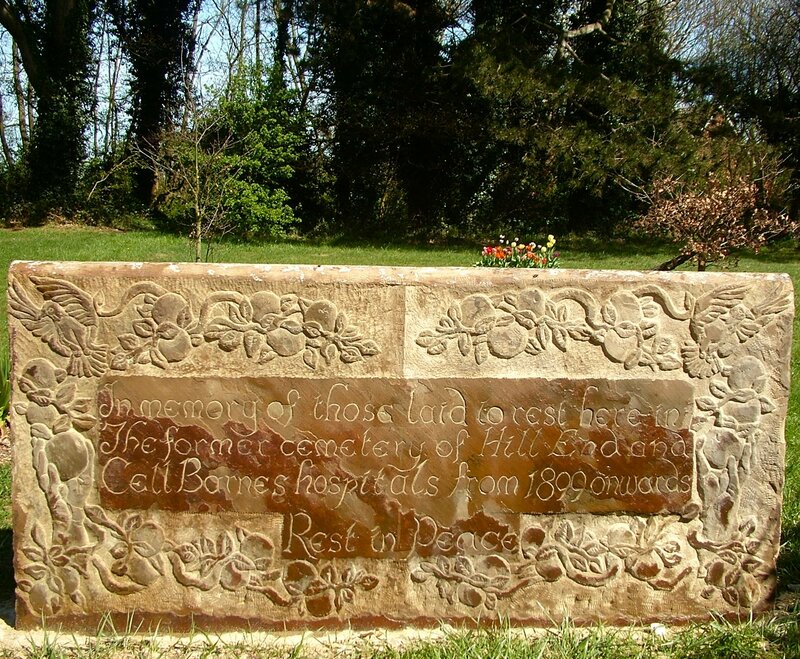 You can access all the information from my web site: http://g4pvb.eu5.net I’ve even met a fellow enthusiast (Hi Tony, if you’re reading this) who lives where the grounds of Hill End used to be. So, my life has come full circle! This page was added on 05/10/2009. Such an interesting read.Your journey shows great courage.I wish you well and thankyou for sharing your experiences.